California Security and Investigative Services – Platt Security, Inc.
Security Systems	Platt Security Systems has installed over one thousand residential alarm systems. We install, state of the art, GE Interlogix and Honeywell systems. 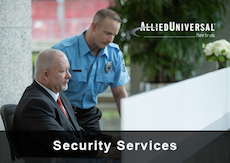 Security Services	We employ both armed and unarmed officers allowing us to design a program custom fit to our client’s situation. Each client’s needs are different and it is important to select the personnel best suited for those needs. Investigative Services	Platt Investigations, Inc. is a private investigations firm established in 1992 and licensed by the State of California. 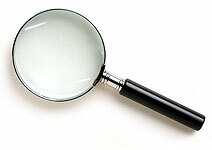 We provide assistance to attorneys, corporations, and individuals with a wide range of professional investigative and security related services. 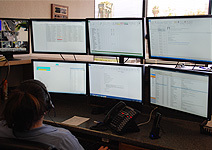 Dispatch Center	We operate a state of the art dispatch center, located in our corporate office building, staffed 24 hours a day to serve our clients. Dispatchers are trained to provide the best quality customer service. This is an important part of client and officer safety. In Southern California the name Platt is synonymous with security and security related services. The Platt family has resided in Long Beach since 1925 and has over eighty years of combined law enforcement experience with the Long Beach Police Department. These years of dedicated service are testimony to our commitment to making our communities a safer place to live, work, and visit. 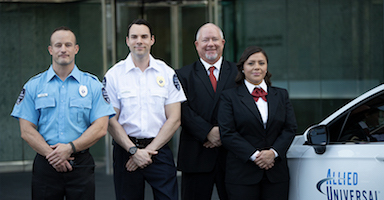 Platt Security was founded in 1958 to provide security for public events, such as concerts, trade shows and sporting events for the City of Long Beach. Due to the increased crime and decreased police budgets of the eighties, Platt Security saw a need for a pro-active community orientated approach to contract security. Platt Security’s focus on developing a program tailored to each client’s specific needs has proven to be extremely successful. The Platt family has over eighty years of combined law enforcement experience with the Long Beach Police Department. We provide assistance to attorneys, corporations, and individuals with professional investigative and security related services.